**Disclosure: We were provided a service plan in exchange for the feature of their services. No monetary compensation was received. Fall is Near! Is Your Home Ready? Can you believe that summer is over? With September in full swing, you may be starting to get into the fall spirit. Cooler weather is drawing near, and it’s time to start thinking about prepping your home for it. Prepping for cooler weather can ensure that your home is ready for seasons to come. In the Las Vegas valley, the bitter chill of winter can happen almost overnight. It may seem early, but you may be surprised by what some preventative maintenance can do for your budget. Clean Those Gutters: As the fall season begins, the leaves begin to change and fall from the trees. Your gutters are bound to get some extra debris, and could potentially get clogged. To prevent this pain, inspect your home’s roof and gutter system. Ensure that gutters are cleared, or go a step further and install a mesh guard to prevent build-up. Detect for Carbon Monoxide: If you’re planning on firing up your fireplace this fall, get your home checked by a professional, and consider installing a carbon monoxide detector. A detector can alert you to odorless carbon monoxide emitted from furnaces, fireplaces, stoves and other gas-fired appliances. Insulate & Weather Strip: Check your home’s window insulation to ensure heat is not leaking out. Why run your unit this fall and winter if it won't be warming your home? You’ll end up spending more, because the unit will need to work overtime for lost air. Gaps in caulk and weather-stripping can account for 10% of your heating bills, according to the U.S. Department of Energy. Maintain your System: Change your filters, and have your ducts cleaned. Changing your air filter can slow down the dirt and debris build up in your HVAC system, and takes only minutes when done by a professional. Adjust Your Blinds: On sunny days, take advantage of the sun to bring in heat. Adjust blinds so they are open and tilted toward the ceiling—but be sure to close the blinds at sundown. Ceiling Fans: Set your ceiling fan in the clockwise position, on low. The fan will help circulate warm air all around the room. 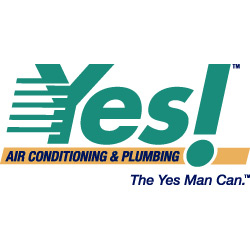 Find a trusted heating and air conditioning company to help with any safety or energy concerns you may have as we transition into the cooler months. When dealing with electricity and gas, it is always best to call a professional. Follow these maintenance's tips and you’ll keep your system running efficiently, and at the lowest cost throughout the fall season. Yes! has offered our readers some special discounts! Call Yes! at 702-545-6560 and give the code Hula Hooping Mom to receive the below offers!